There has always been a cold war between Samsung and Panasonic, especially since Plasma TVs came into being. Panasonic performs comparatively well in this sector and Samsung is considered to be a close competitor to Panasonic. During the launch of 3D TV’s, Samsung was seen to produce deeper blacks and color depth whereas Panasonic couldn't match up immediately. Although the HDTVs from Samsung are a cut above most, this brand does not provide glasses inclusively with their 3D TVs. 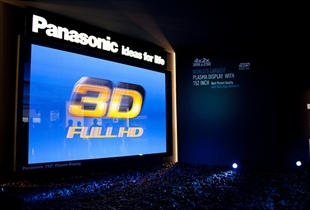 Those who want the glasses to come with a 3D TV will have to turn to Panasonic. Their TVs come with a pair of 3D-watching glasses and overall the sets are brighter and bigger. To bring about a distinction between the Panasonic 3D and the Samsung 3D set is one difficult task. 3D TV image quality for both is of satisfactory quality. Both have positive points as well as negative ones. There have been problems reported with there being flashes on both screens when the room light was turned on. Samsung, on one hand, portrayed a plethora of natural colors whereas Panasonic brings into better view the out-of-focus images at the right and left edges. Yet both give a satisfactory and detailed 3D viewing experience. Panasonic seems to have bright and vibrant colors that are toned down during calibration. Ghosting is also an issue with these TVs and is often seen along the edges of the TV screen. Samsung also has similar Ghosting problems at times. The Achilles’ heel in the case of active shutter glasses is that if their calibration is off, the viewing can suffer horribly, which is occasionally noticed in some of the pairs that are provided with the TV sets. Samsung so far has proved to have good image clarity, balanced color formation and uniformity. 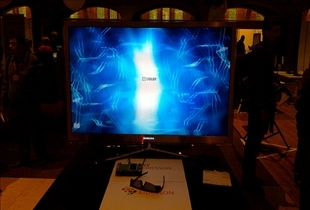 Panasonic can react much faster on LCD screens and the images do not converge. Viewing a movie on a Panasonic set with a pair of glasses is ideal and comfortable. The glasses are lightweight and comfortable. The same can be said for the owners of Samsung 3D glasses. Samsung tends to be better at the designing their TVs than Panasonic. Although both have TVs with similar profiles and features, the elegance and class is sometimes a notch higher in Samsung. Panasonic is more on the minimal side, although they do come out with some futuristic designs every now and then. Both companies have all of the common industry designs for TVs, especially the ever popular slim TVs that have really shallow thickness and almost no bezel (whenever possible). When it comes to 3D TVs though, maintaining these things become somewhat difficult due to the added technical complications. Hence, both are more or less at par here. Both Panasonic and Samsung have a good name in the industry for making 3D TVs but so far, Samsung seems to have an upper edge. Panasonic’s main target seems to be more on the industrial side, while Samsung focuses on lifestyle. When it comes to 3D TV quality and performance, they are more or less neck-to-neck. The differences begin showing up when comparing individual models.